All logos and most product photography supplied by Économusée. Along with the national identity guidelines. 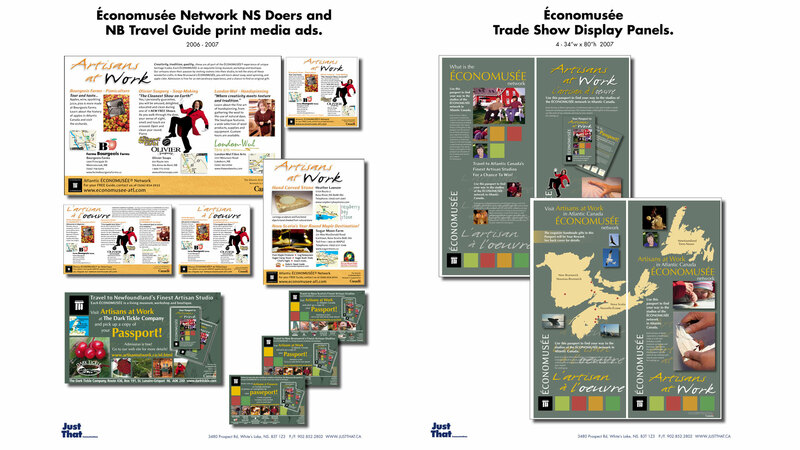 The Économusée Network, whose sole objective is to promote Canadian artisans. A national identity had already been established for this client. My role was to incorporate that identity with a regional distinction that would reflect the memberships place in the network along with promotion of each artisan represented in each piece. 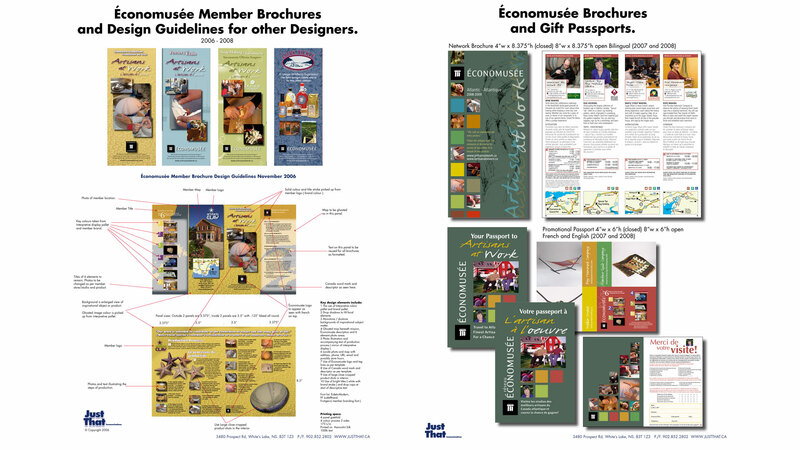 The final design for the member brochures was accepted as the template structure for all other member brochures. 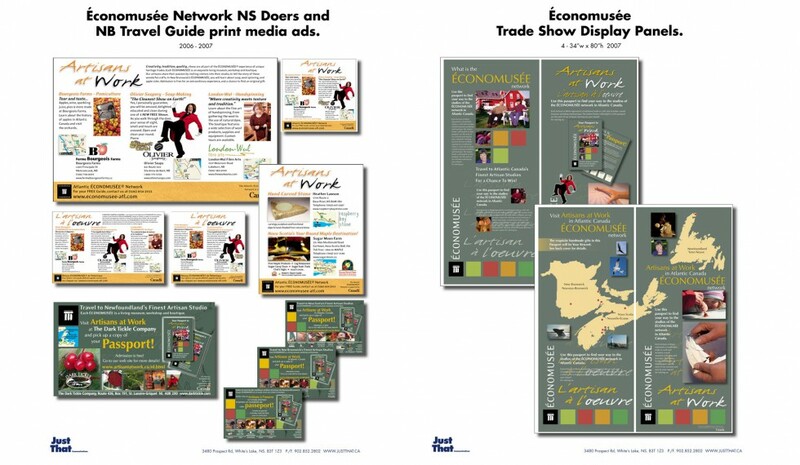 This group includes a production piece for the entire Atlantic network which was previously designed. Along with the Network brochure, the regions passport was completely developed by me to promote the travel and visitation to each artisans work shop. It was meant as a road map to experience the creation of each artisans craft and be rewarded with a possible prize of one of the members gift packs illustrated in the passport. With the development of the Passport concept, a series of trade show panels were produced to support that idea of travel and experiencing the Artisans at Work.